When was the last time you cleaned your makeup brushes? If it has been over a month it's time to get washing! It's important to clean your brushes at least once a month. Cleaning your makeup brushes regularly will extend the shelf life of your makeup and help prevent the spread of bacteria, which can cause nasty side effects such as eye infections, acne and skin irritation. 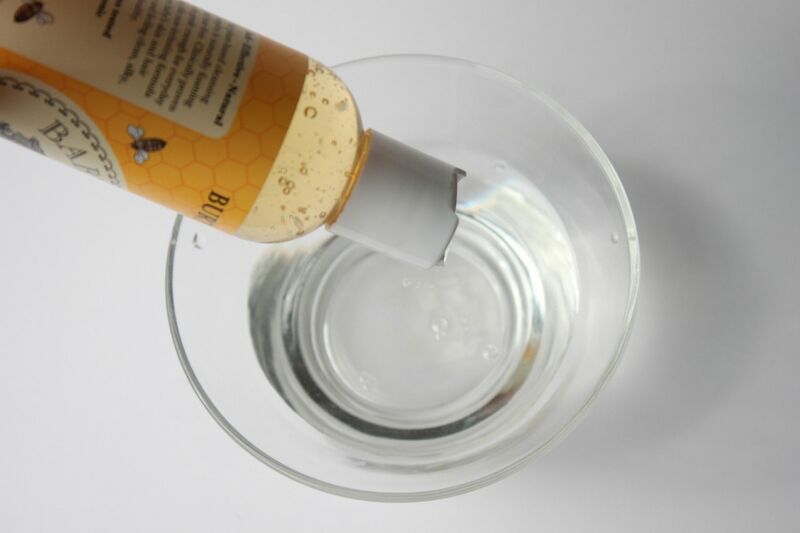 A super easy and effective way to clean your brushes is to use all natural or organic baby shampoo. 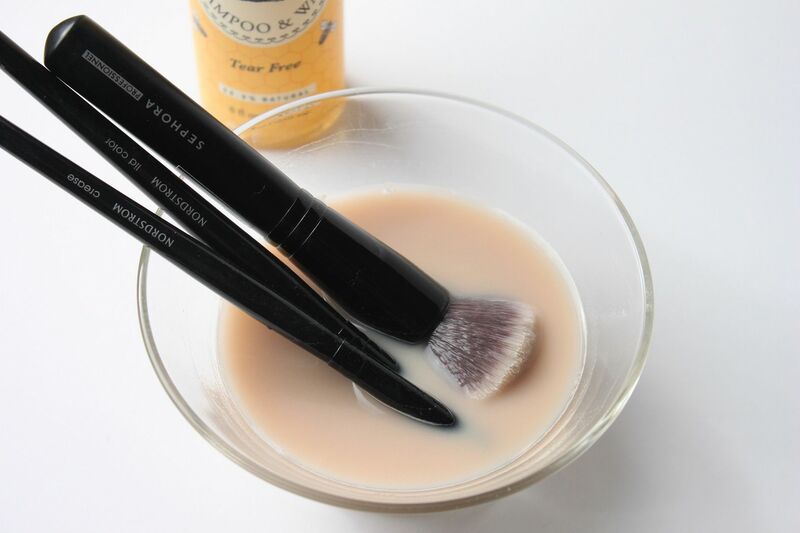 Another way to clean your brushes is to use a mixture of 1 tsp of baking soda and 1 cup lukewarm water. Do the same routine as above. So remember in order to keep your skin clear and free from unnecessary irritation clean your brushes monthly. Thanks for sharing this easy-to-accomplish tip! I really need to do this, this week. once a month? ahh, i'm way behind. i will get to it today! thanks for the tip. Oh gosh, you caught me. I so don't do this once a month. Thanks for the reminder! @ marjorie- great tip, about the olive oil! especially because i use long wear foundation [its a beast to remove the deep down in residue]. It is definitely time for me to wash my brushes! Thanks for this tip! Baking soda, good idea. I had just been using some of my face wash, probably not so good. lol woops. Oh, it is time for me to do this today! Thanks for the tip Linds! Have a great week! Thanks for this! I usually use my MAC brush cleaner, but this would be way more affordable. yes! love this and anything burts bees!! Reading this post reminded me that I really need to clean my make up brushes! Thanks! I love this idea. I try and do it at least once a month. I also have a spray from sephora that I spray after each use -- i' a bit OCD. You're amazing, seriously last night I was thinking "tomorrow I have to find Lindsay's how to clean make up brushes tomorrow" And you reposted it. YOU'RE my life savor. How are you and baby! um yeah…i'm gonna have to do this right now. Like, I'm getting off the computer and going to do this. :) Luckily I bought some new brushes recently…but I need to stay on top of keeping these clean!! Thanks for sharing..as always! thank you for this... I've been needing to wash my brushes! I clean my brushes but I haven't in a while. Thanks for the reminder!! Thank you thank you for posting this! I still can't believe that some people don't wash their brushes! Yucky! ;) Love your tips! I try to wash mine more than once a month and always feel so much better putting on makeup when I do. I'm coming up on almost 4 weeks now, thanks for the reminder! This is perfect!! I just ran out of my MAC brush cleaner and was going to try and find a less expensive way of doing it, the baking soda one I'll have to try! Thanks so much!! I NEED to clean my brushes!! :) yikes...once a month! I am bad. Thanks for sharing!! Just found your blog through pinterest, and at the right time! My skin has been going crazy lately. From a rash/skin infection to being oily to super dry to breaking out. I am definitely going to clean my brushes tonight and use your skin care tips to try to clear things up. Oh thank you, for this easty tip. I am one to never clean my brushes and end up just buying new ones. Will clean them this weekend. Great tip Lindsey. This will save me some money and keep my old mascara brushes being useful. Yikes. I do that maybe once a year or two? Such an easy way of brushes cleaning! I thought that I should buy some sort of special brush cleaner. Thanks you a lot for sharing this method here! Regards! Cambrisge Heath Carpet Cleaners Ltd.
Great trick. I use the same method of cleaning my brushes. But instead of baby shampoo I usually use Dawn. It smells fantastic! Thank you for sharing your post. Greetings! can someone tell me if i can pre-mix the solution in advance (like prep a bottle of shampoo w/vinegar) or is this on the spot solution only. of course with baking soda it would be for on the spot. thanks!